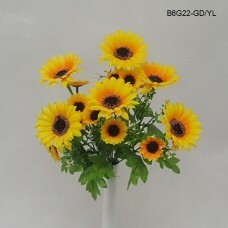 Blooming Sunflowers of big, medium and small sizes in one lively bush. 12 stems. 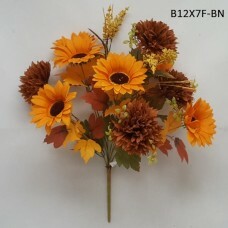 Bush stands 23 in..
Autumnal bouquet of sunflowers, chrysanthemums, and fall foliage. 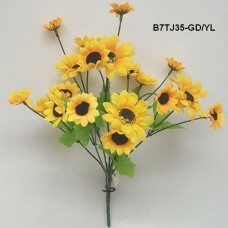 Stands 22 inches tall. 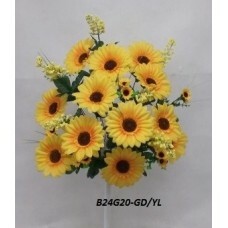 72 PC / C..
A gorgeous bouquet of small and large sunflowers, with yellow baby's breath, grass accents, and full..
Mini Sunflower bouquet with large and small sunflowers, complemented by lush green foliage. 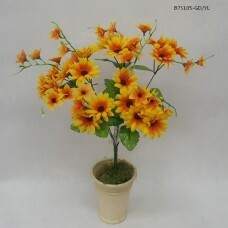 Stands..
Mini two-toned sunflowers in a bouquet with seven branches. 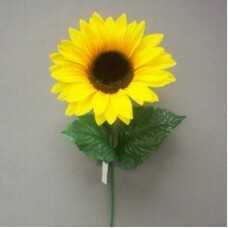 Stands 20 inches tall. 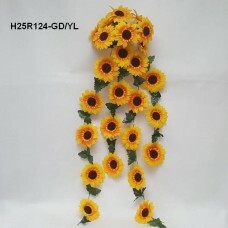 144 PC / Case..
Blooming sunflowers in a hangling bush and 4 trails. Product is 44 inches long. 72 PC per case. N.. 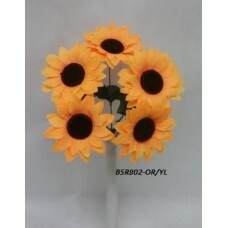 Satin Giant Sunflower x 1 29"
Giant sunflower in full bloom with orange/yellow gradient petals. 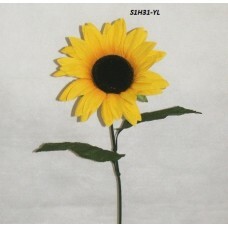 29 inch stem has two large leaves..
Sunflower on a single stem, 29 inches tall. Flower and stem packed separately, assembly required. ..